City economic development staff asked the City Council Friday to postpone a decision on whether to bypass San Diego Gas & Electric and purchase power directly for San Diegans. In a letter Friday to council members, Economic Development Director Erik Caldwell said a decision requires further study because the potential cost “will impact the lives of every San Diegan.” He recommended that the city proceed with developing a business plan while postponing a final decision until 2018. At issue is whether to create a Community Choice Aggregation program, or CCA, to reach San Diego’s goal of 100 percent renewable energy. A CCA would allow the city to bypass SDG&E to contract directly with competing electricity providers. A key unknown is the size of the “exit fee” that customers would have to pay to SDG&E. This will not be decided by the state Public Utilities Commission until 2018. The San Diego business community applauded the delay, noting that the costs of establishing a CCA, including creation a new city department, are unknown and could be significant. “Establishing a potential multi-billion-dollar government-controlled energy-buying program carries significant risk for taxpayers and, currently, there are far too many unknowns for city leaders to make an informed decision about such a program,” said the Clear the Air Coalition in a statement. The San Diego Community Choice Alliance said that it was encouraged that the city would proceed with drafting a business plan for a CCA even if a final decision is postponed until next year. “We commend Mayor Faulconer’s leadership in taking us one step closer to energy freedom, lower energy bills and more local clean energy. We are confident the business plan will show that community choice energy is the best pathway to reach 100 percent clean energy by 2035 and cement the mayor’s legacy as climate champion,” said Nicole Capretz of Climate Action Campaign. The city is also considering a proposal from SDG&E to more quickly reach the 100 percent goal. Currently the utility is at 43 percent renewable power. 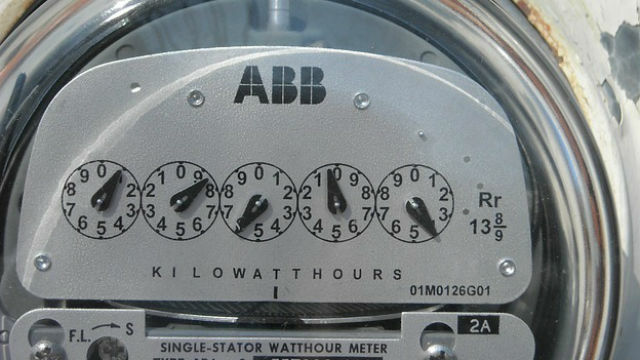 Staff called the utility’s plan “potentially viable” and promised a 3rd-party review. The City of Solana Beach is also studying a CCA, as is the County of Riverside.